Provides 2000 watts of true sine wave AC power from a DC source and 100-amp multistage battery charging. 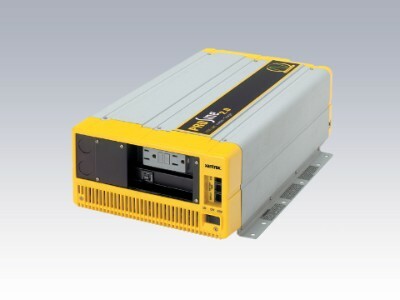 A powerful all-in-one solution, Prosine 2.0 inverter/chargers (part#805-2000 – hardwire version) deliver up to 2000 watts of unsurpassed clean true sine wave output power and combines this with a 100 amp, multistage battery charger. Series stackability allows for two units to power 240 VAC applications such as power tools, over ranges, washer/dryer combinations and air conditioners. The Prosine 2.0 is ideal for upgrading your electrical system in a boat, RV, or a utility vehicle. The system includes a full function LCD remote control panel and battery temperature sensor.